Basically, me and my good friend Josie McGilvray are hosts of a brand new YouTube show - Visual Vanity. The show is a mix of fashion and lifestyle, so, we'll be covering independent designers, cool bars, that kind of thing. The first episode is now filmed, and I'm beyond excited to share it with you all. First we got lost on the way there. 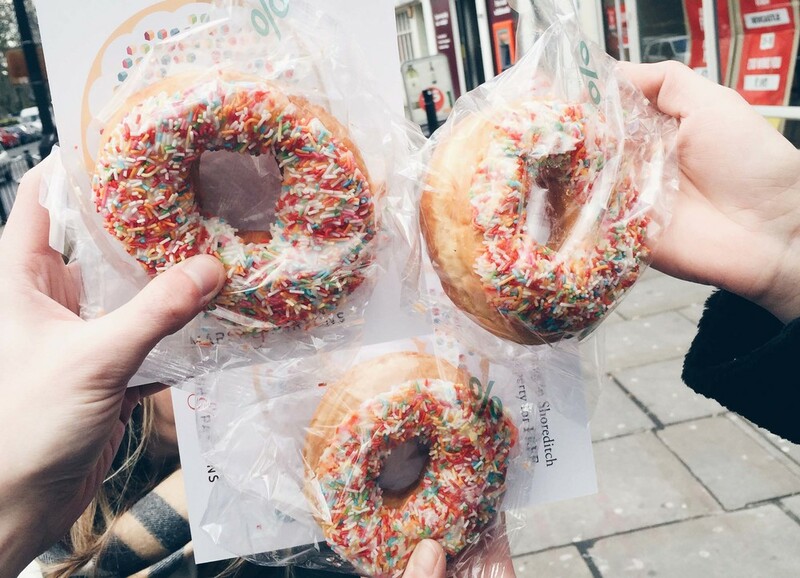 BUT, then we got given free donuts... by a lettings agent... LONDON YOU BEAUTIFUL BEAST. We started by dropping by Candy Kittens pop up store in Covent Garden. Now, if you're not familiar with CK, they're basically gourmet candy. As in, these ain't just a regular harribo. Almost healthy, wicked flavours, and in some of the, no screw it, THE BEST packaging I've ever seen for confectionary in my life. Their shop was pretty damn awesome. Lots of bright colours, and to say how small of a space it was, they rammed a lot in there without it feeling too tight... don't make the obvious joke. THEN, they were super sweet (geddit?) and gave us a load of sweets to give away to you lovely people when the first episode goes live. Aren't they nice?